Recently, I was lucky enough to find ‘Cuba Cheddar’ at the local supermarket. There is no better cheddar than a sharp New York cheddar, and the cheddarati will tell you that the cheese from Cuba, New York is one of the best New York cheddars. 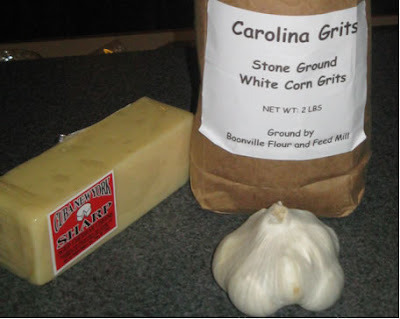 I also had a bag of stone-ground Carolina Grits that I smuggled north from my last visit. These are not the pasty instant grits we find around here. These grits have real flavor, aroma and texture. In this dish, the coarser texture holds up well and contrasts nicely with the creaminess of the cheese. 2. Bring the water to a boil and stir in the grits. Cook on medium-high heat, stirring occasionally for 10 minutes. Stir more often toward the end of the cooking time, and lower the heat if necessary to keep it from sticking. 3. Meanwhile, fry the sausage until browned and crispy. Remove from the pan and drain on some paper towels. 4. When the grits are done, remove from the heat and stir in the butter, garlic and sausage and season to taste with some salt and freshly ground black pepper. 5. 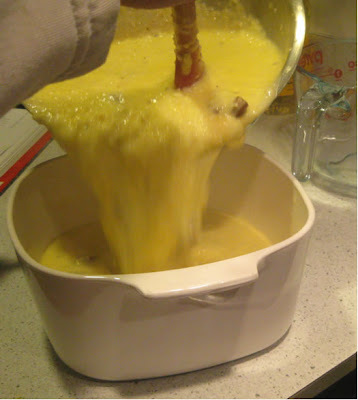 Add in all but ½ c. of the cheese and stir until melted. 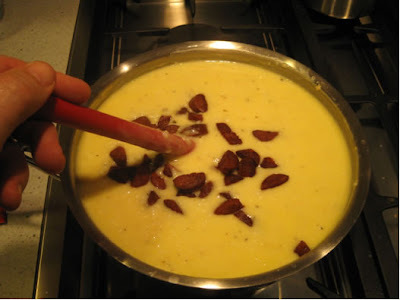 Stir in the milk and eggs and pour into a casserole. 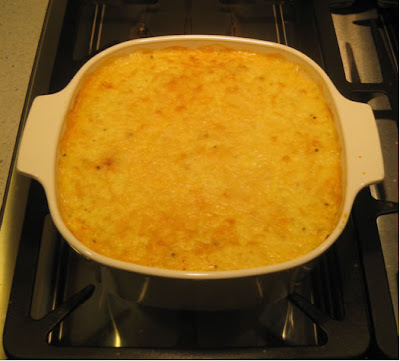 Top with the remaining cheese and bake for 1 hour. 6. Remove from the oven and let sit for 5 minutes before serving. 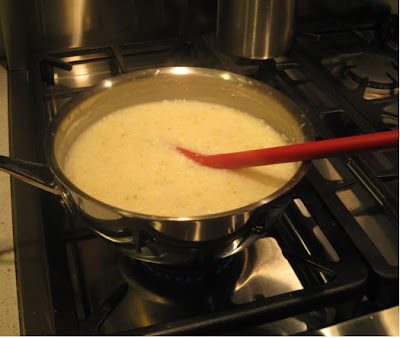 Once you eat real grits, you never seem to understand why you wasted time with instant grits.